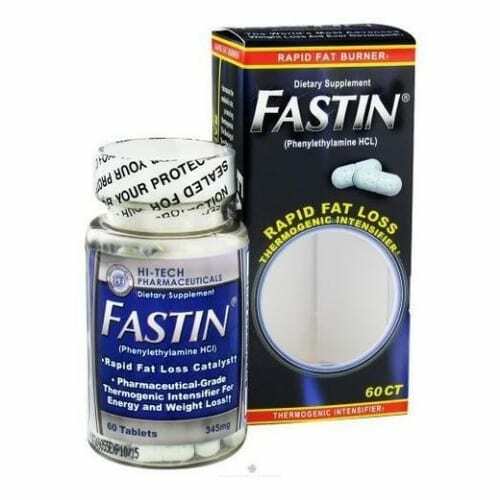 Fastin contains a specific proprietary blend of Hi-Tech’s powerful herbal stimulant compounds, with the main ingredient Phenylethylamine HCL, a very popular stimulant that is most commonly known as PEA. Fastin is a “feel good” product with rapid stimulant effects that leaves you feeling energized and more importantly motivated almost immediately. * The best part is, with Fastin there is no crashing afterwards, just lasting clean energy with a smooth come down. * Hi-Tech’s Fastin functions by speeding up your metabolism so that your body will burn more fat for energy instead of burning muscle, keeping it out of a catabolic state. * There’s No more fighting off those pesky cravings – Fastin contains appetite suppressants that work to stave off unwanted hunger pains so you can stay focused on your goals. * If you’ve hit a plateau on your weight loss or if you’re just looking to shed some extra pounds, give Hi-Tech’s Fastin a try and you won’t be disappointed! 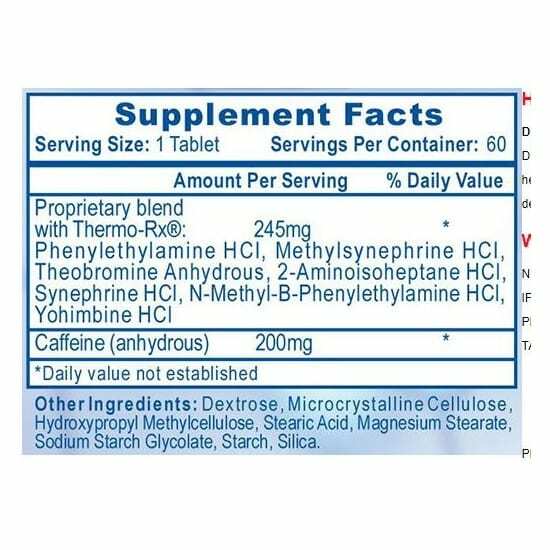 Hi Tech Pharmaceuticals recommends that you take 1-2 tablets in the morning on an empty stomach and then an additional tablet in the afternoon on an empty stomach. Do not exceed 4 tablets in one day. Due to the extreme potency, start within only 1 tablet in the morning and 1 tablet in the afternoon. Other ingredients: Dextrose, Microcrystalline Cellulose, Hydroxypropyl Methylcellulose, Stearic Acid, Magnesium Stearate, Sodium Starch Glycolate, Starch, Silica. Not for use by individuals under the age of 18 years. Do not use if you are pregnant or nursing. Individuals who consume caffeine with this product may experience serious adverse health effects. Individuals who are sensitive to the effects of caffeine should consult a licensed health care professional before consuming this product. In case of accidental overdose, seek professional assistance or contact a poison control center immediately. Avoid alcohol while taking this product. Do not exceed recommended serving. Exceeding recommended serving may cause serious adverse health effects, including heart attack and stroke. Discontinue use and call a physician or licensed qualified health care professional immediately if you experience rapid heart beat, dizziness, severe headache, shortness of breath, or other similar symptoms, improper use of this product may be hazardous to a person’s health. Exceeding recommended serving will not improve results.